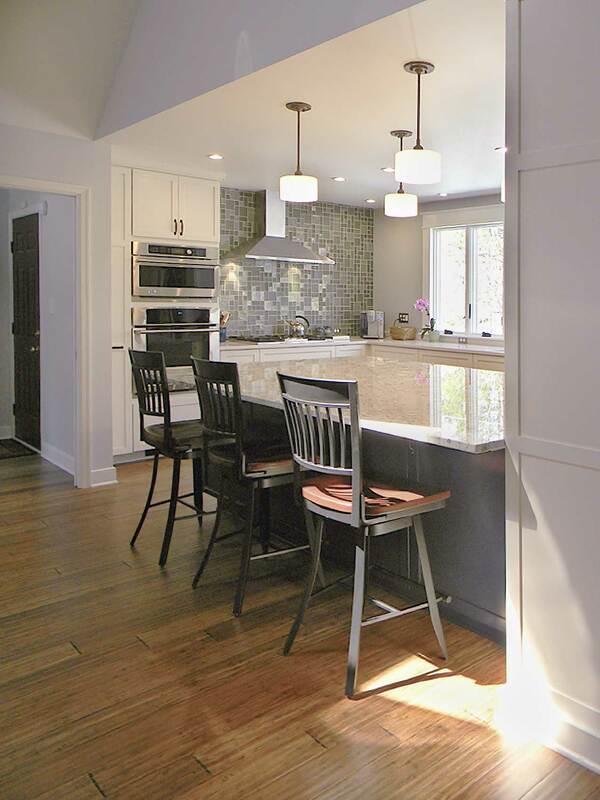 Located a stone’s throw from the James River near Cherokee Road in Richmond, Virginia, this 2,500 sq. 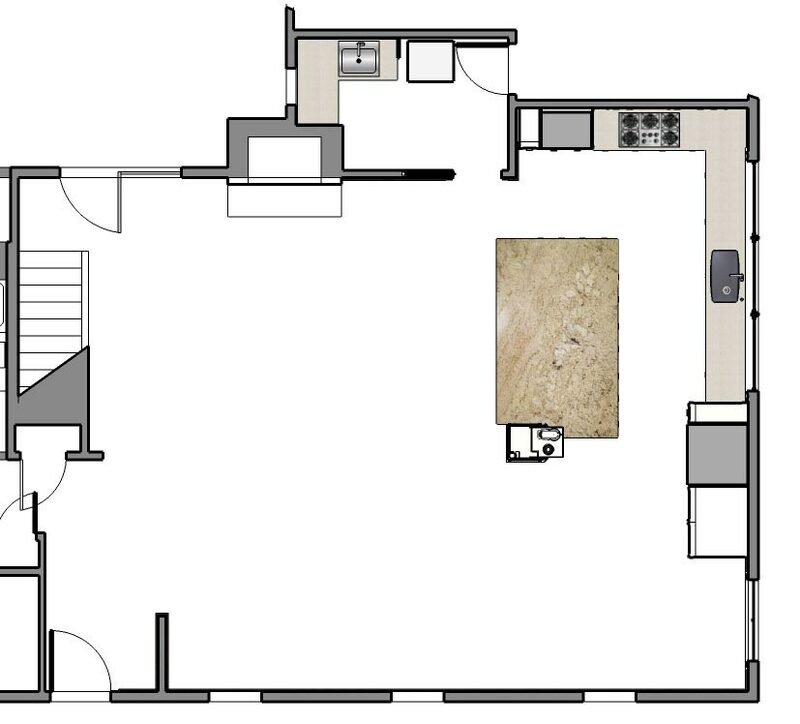 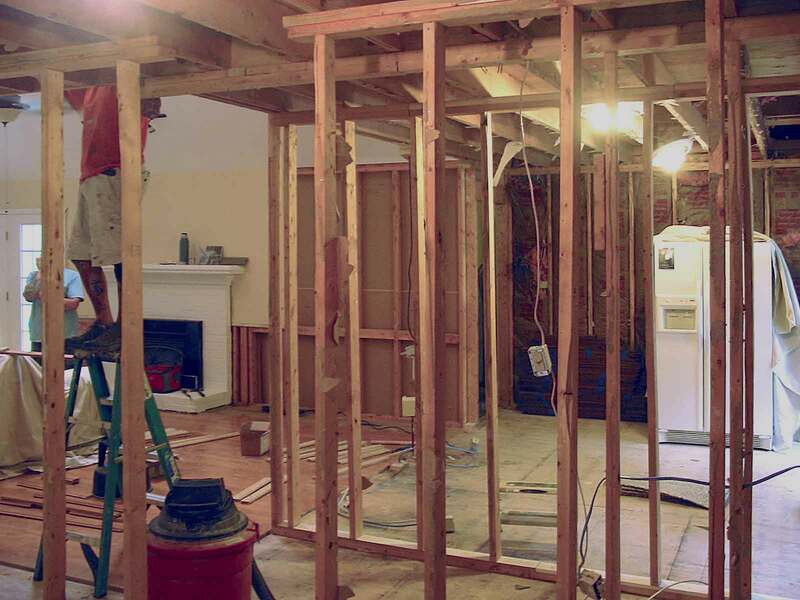 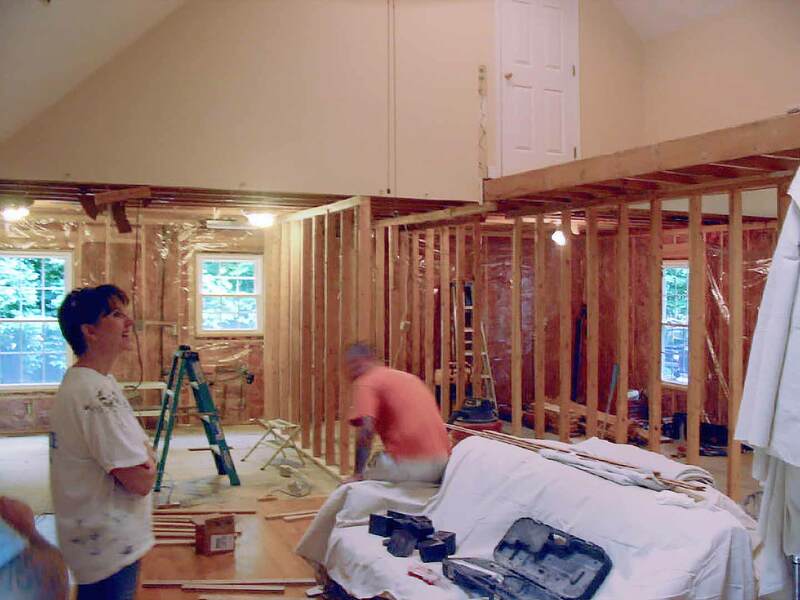 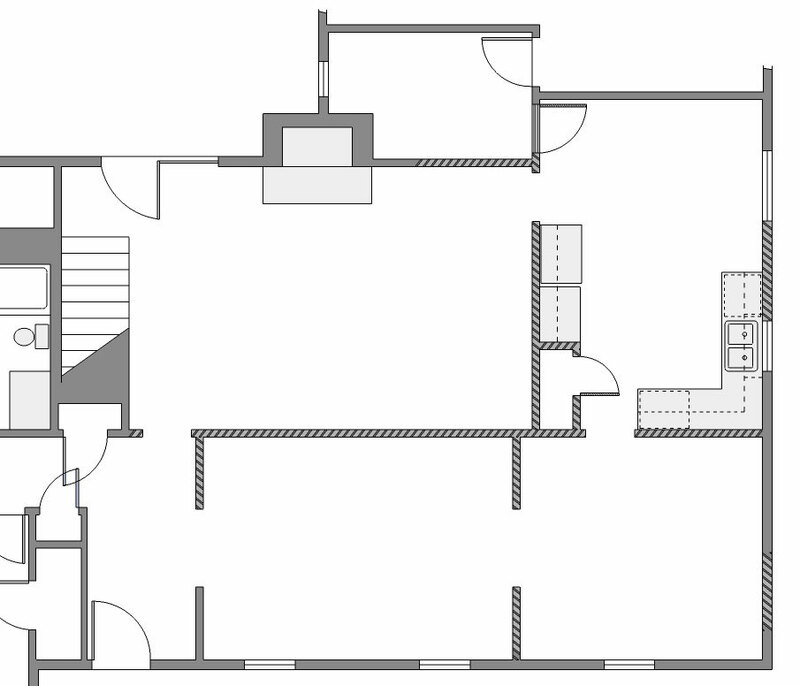 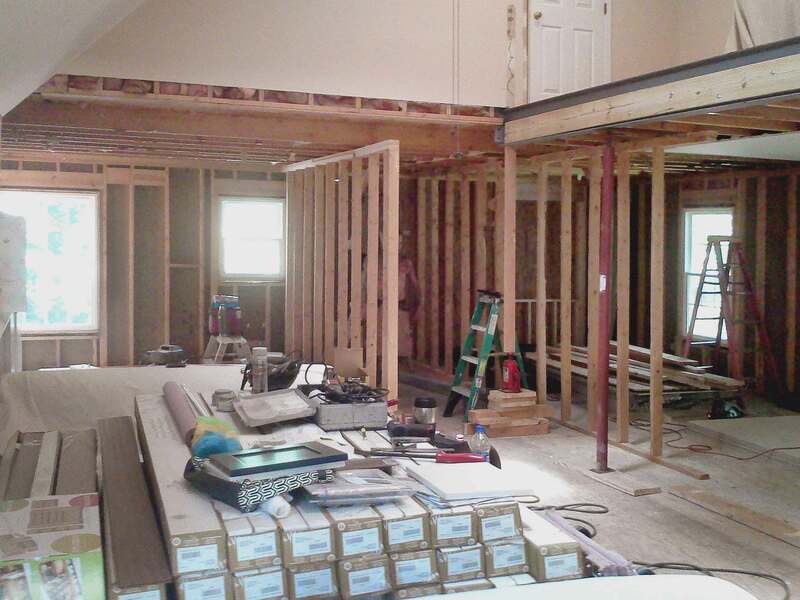 ft. two-story home had its original kitchen, dining room, and living room walls demolished to create an open plan. 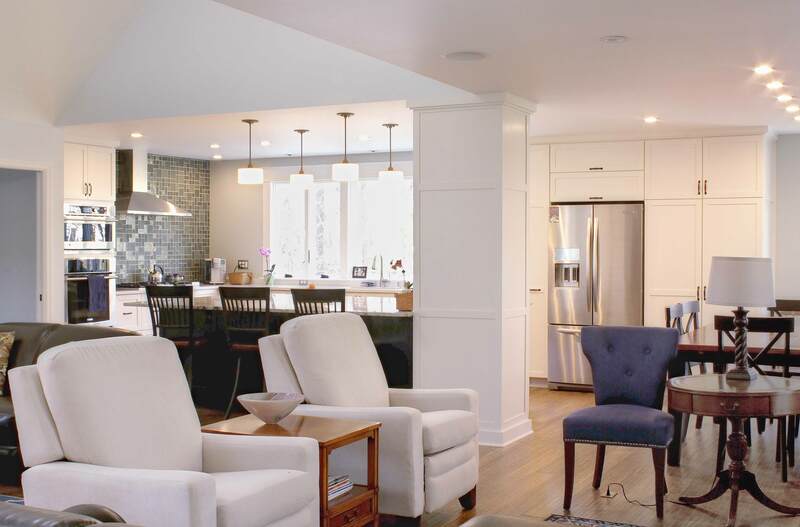 Although empty-nesters, the couple have a large family and often host big get-togethers where the large public space offers ample room for socializing and a la carte style dining. 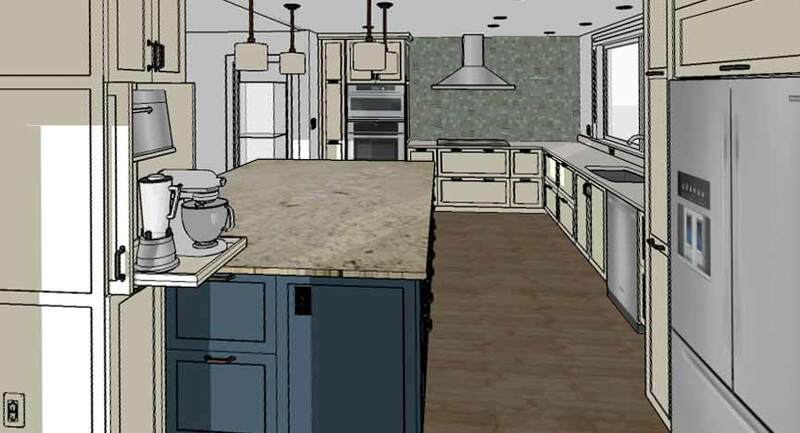 Dishes are set out on the big island, folks can cue up in a line, and seating occurs either at the dining table, one edge of the island, or at various places around the living room. 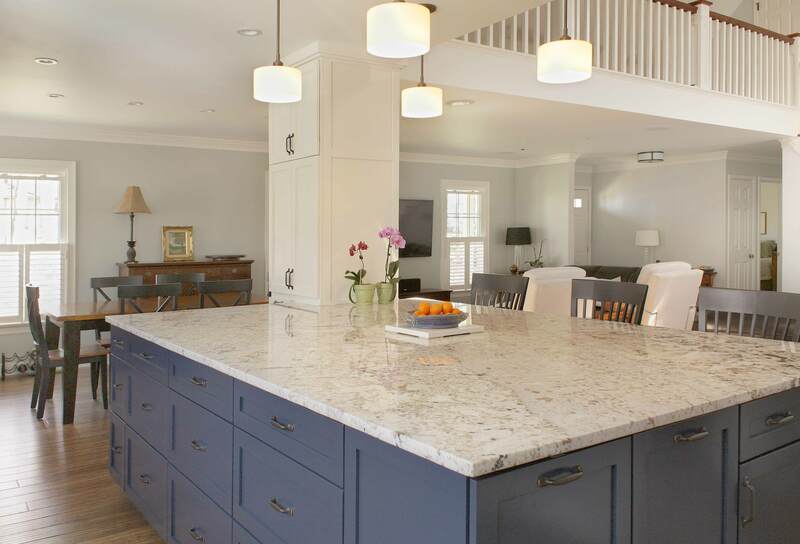 The perimeter countertop is quartz and the island is granite. 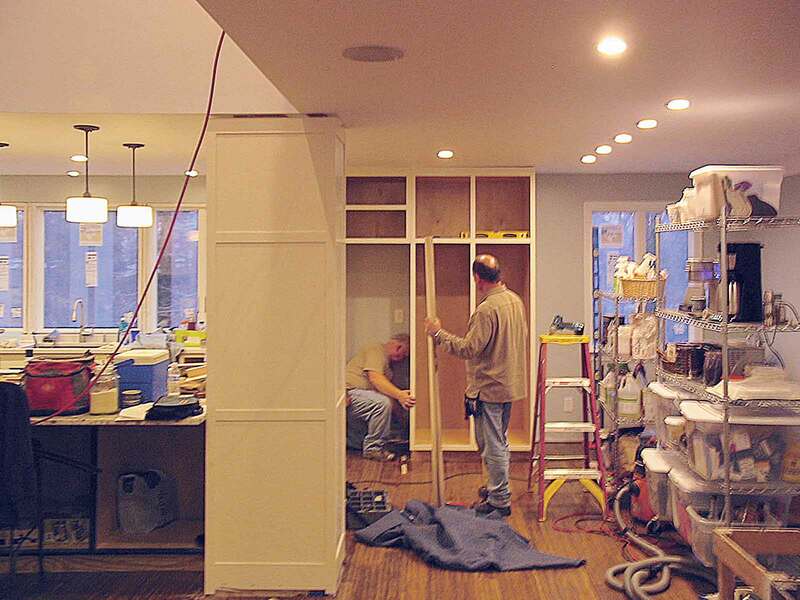 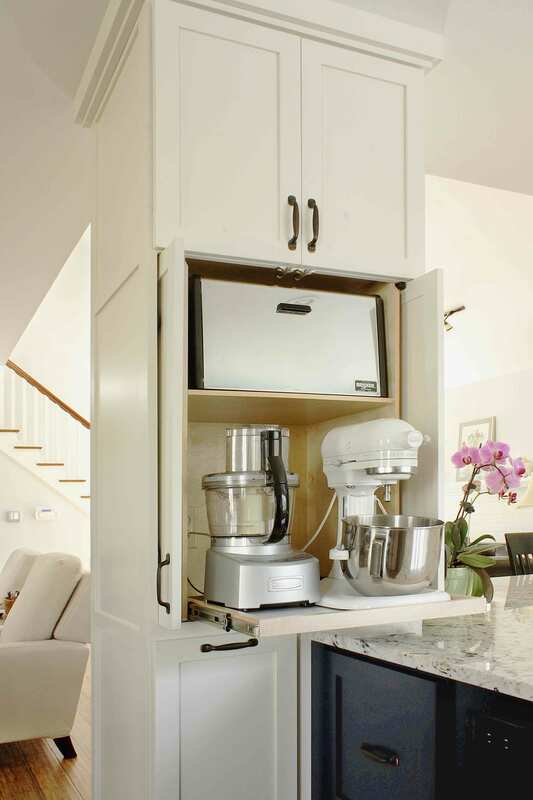 The island’s corner floor-to-ceiling cabinet houses an appliance garage and a steel column that works to help support the new second floor beams. 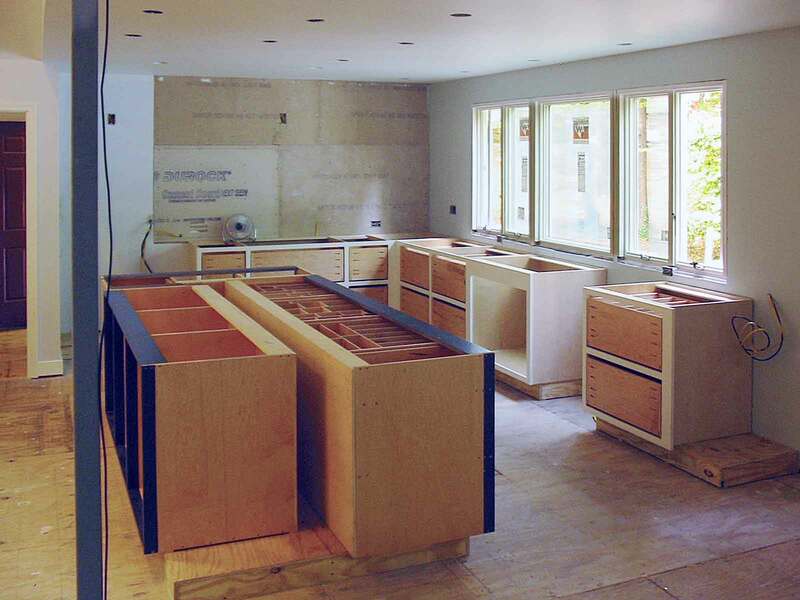 The cabinet also helps to frame the kitchen by delineating the boundaries between the kitchen, dining, and living areas. 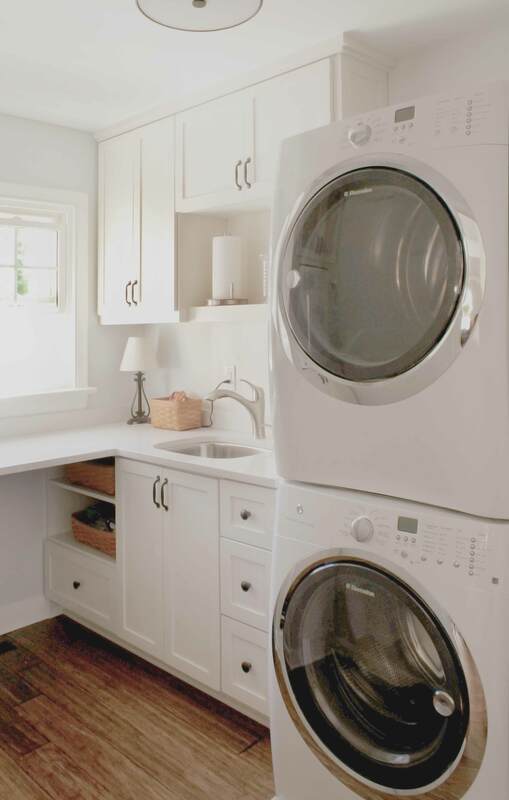 New windows maximize natural light and brighten the entire space; a new pocket door to the new laundry room included in the renovation still allows entry from the garage. 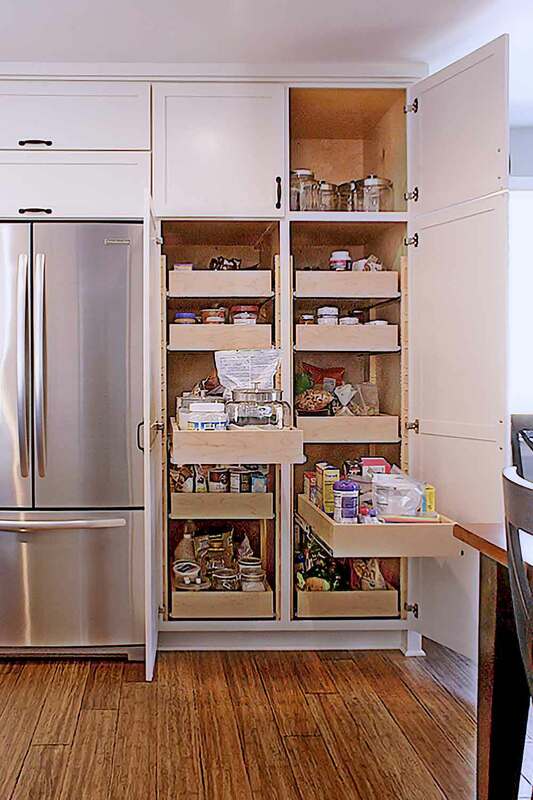 A generous pantry cabinet and tall pull-outs add storage as the two wall ovens installed at a comfortable height ease their use. 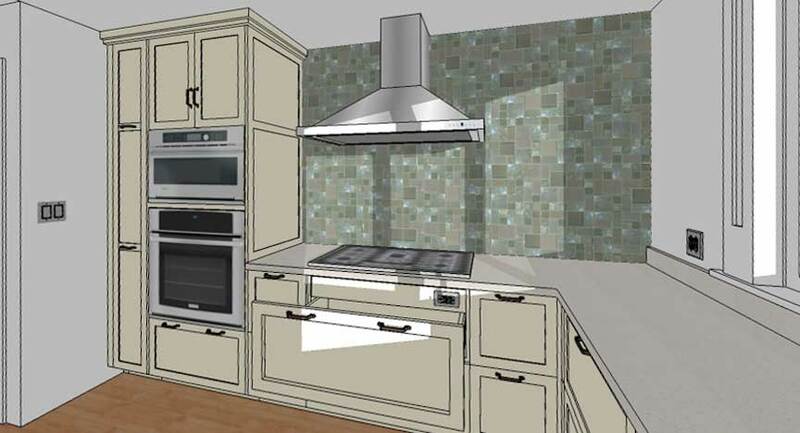 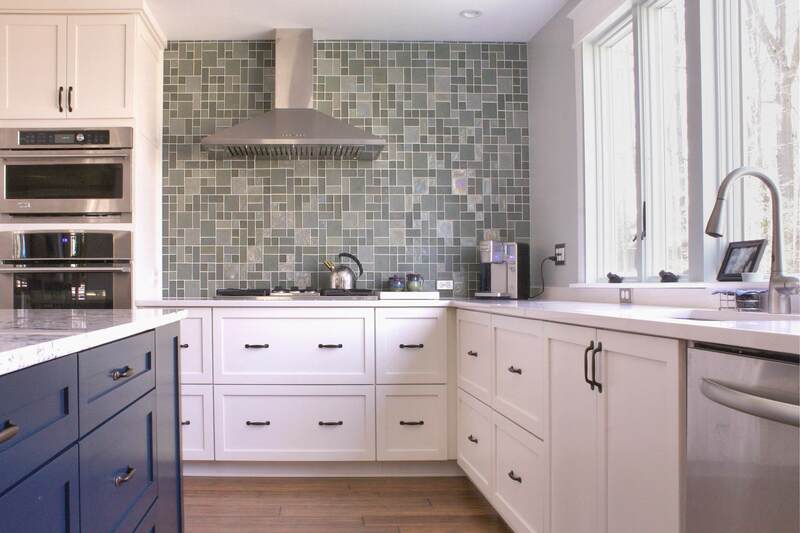 The gas cooktop’s slim profile allows generous cookware storage below, and a custom tile mosaic adds the jewel-tone at the cooktop wall. 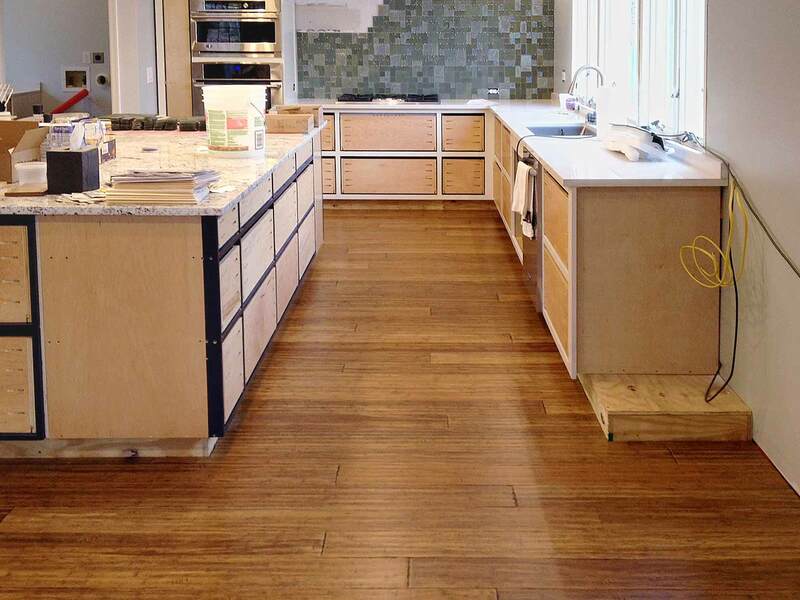 New engineered-bamboo flooring through the space is warm while its scraped surface speaks to reclaimed wood. 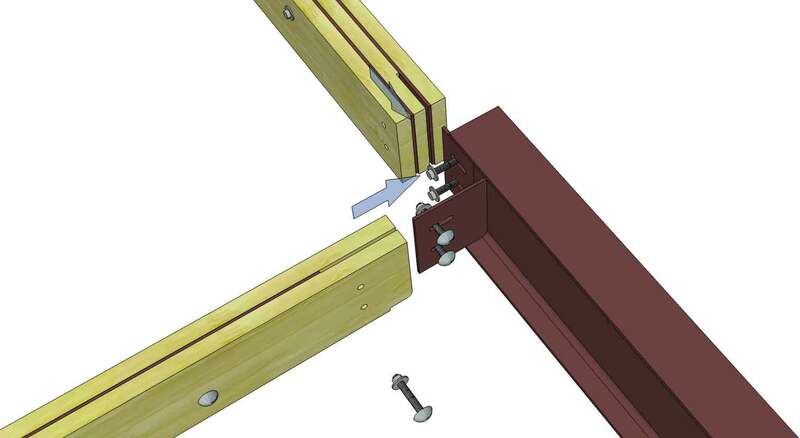 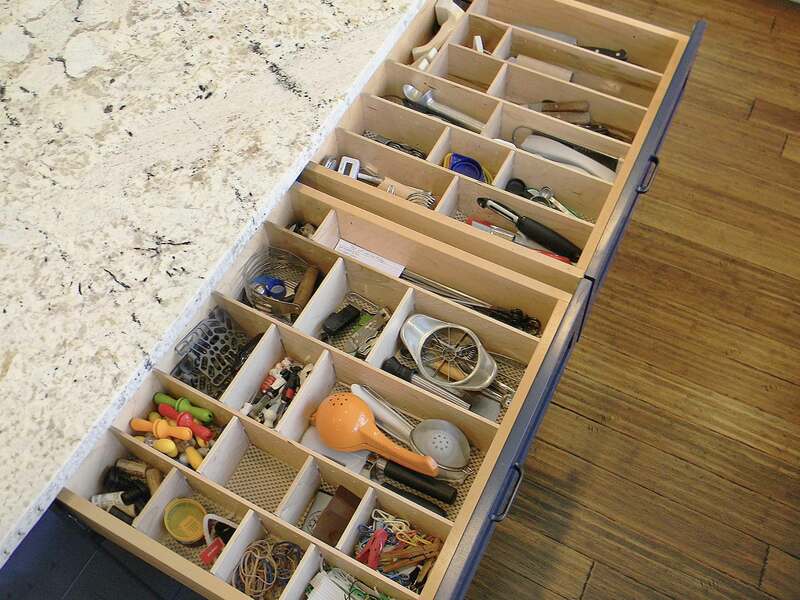 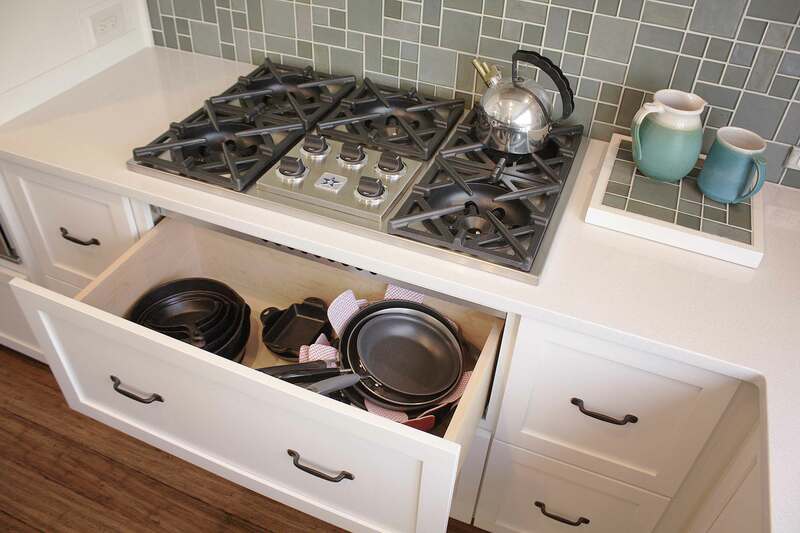 An adjustable system of drawer dividers organizes the drawers of the into custom-sized compartments. 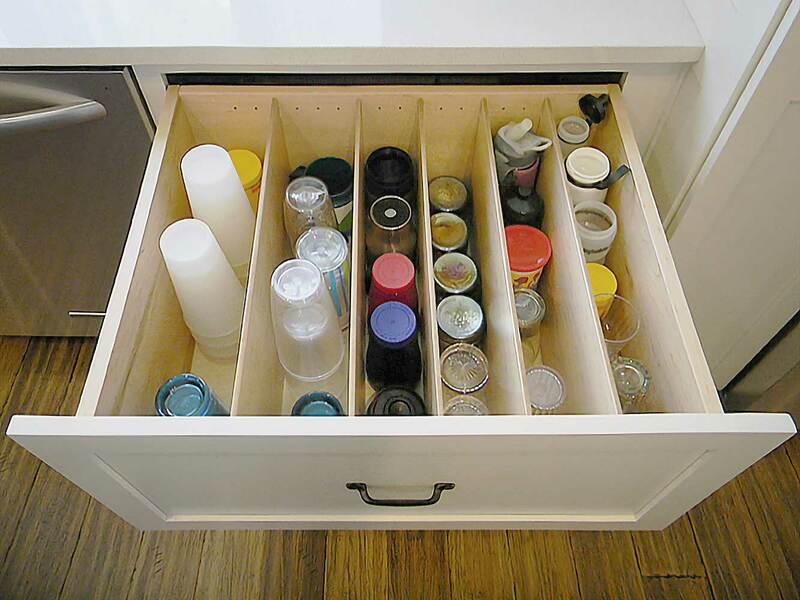 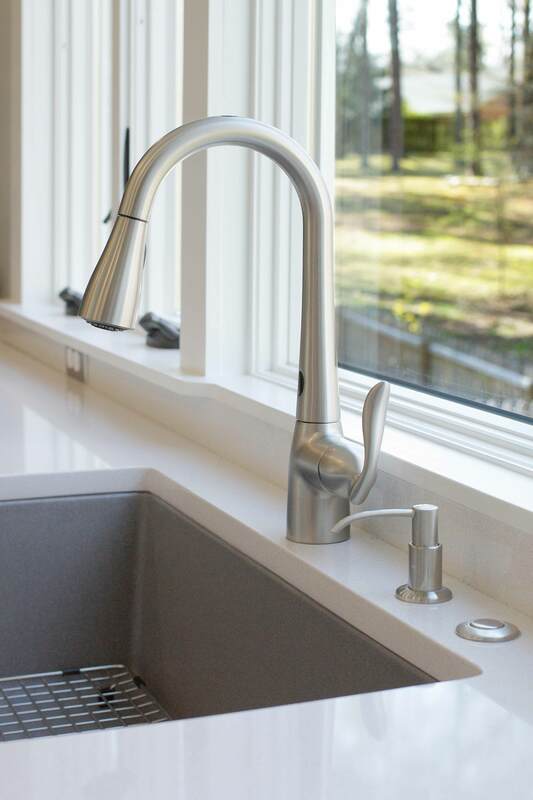 A drinkware drawer between the dishwasher and the refrigerator conveniently stores glasses and cups after washing and allows convenient access when needed. 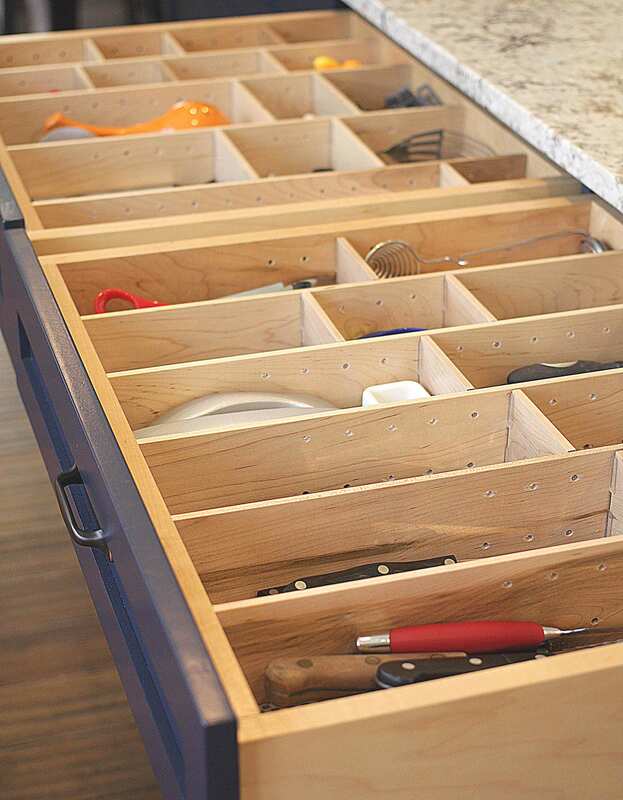 Full-extension drawer slides and soft-close hinges and hardware finish the details in this modern transitional kitchen.